Women's Freestyle State Championships/Fargo Qualifier and School Boy and Younger. 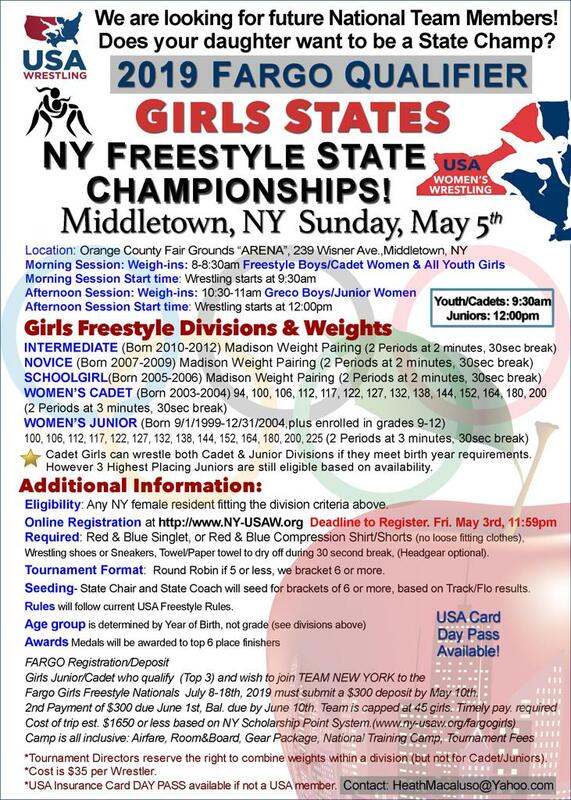 REGISTER for Women's Fargo Qualifier/FREESTYLE State Championships or the Girls Freestyle States on May 5th. Deadline May 3rd, 8pm.